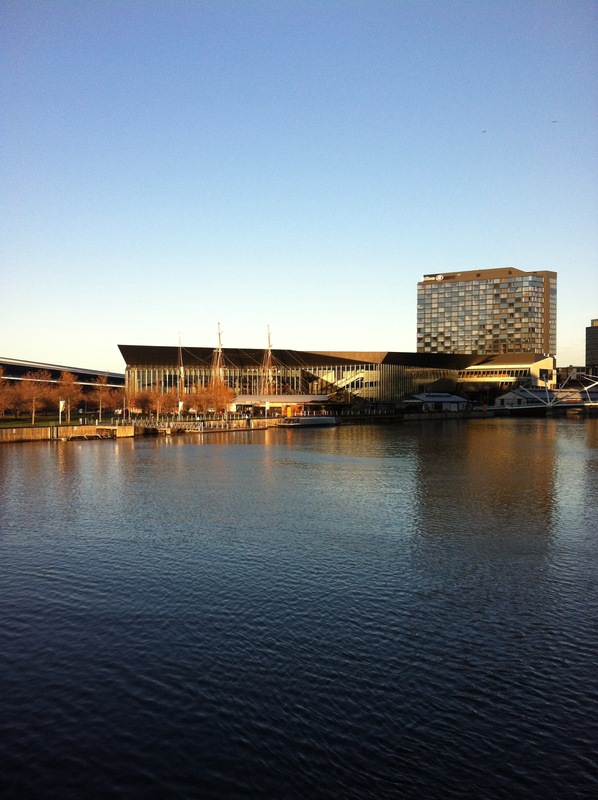 Under a picturesque blue morning sky, the 2013 National Architecture Conference kicked off the official program at the Melbourne Conference Centre. 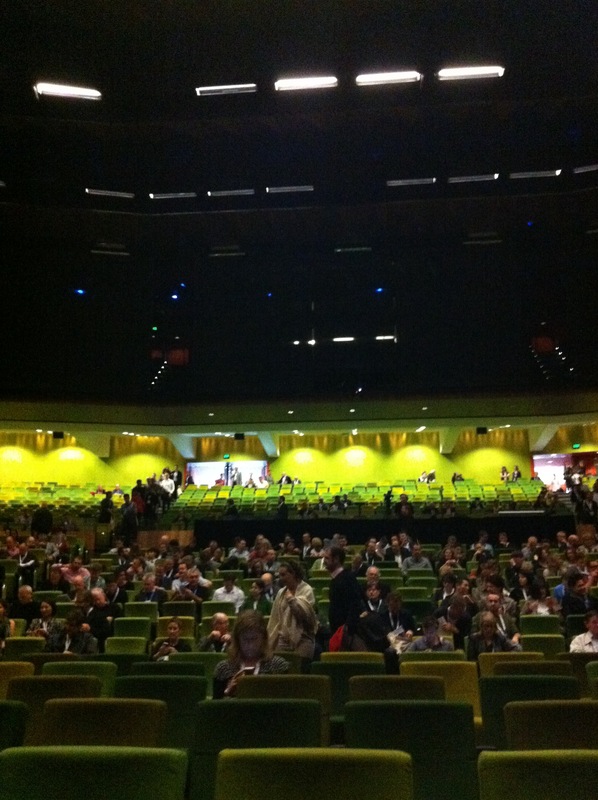 The conference was opened with a heart felt Welcome to Country by senior Boon Wurrung elder, Aunty Carolyn Briggs. This was followed by a very well articulated welcome speech by outgoing National President of the Australian Institute of Architects, Shelley Penn. The first presentation was by Billie Faircloth who posed some framing questions and ideas around the overall theme of material. She pointed out that because everything is made of matter / material, our experience of materials is often pushed into the background of our awareness. This ubiquitous nature of material, means that as young children we grow up learning and understanding about material as we develop through our lives. This continues indefinitely as materials are in a perpetual state of becoming known. 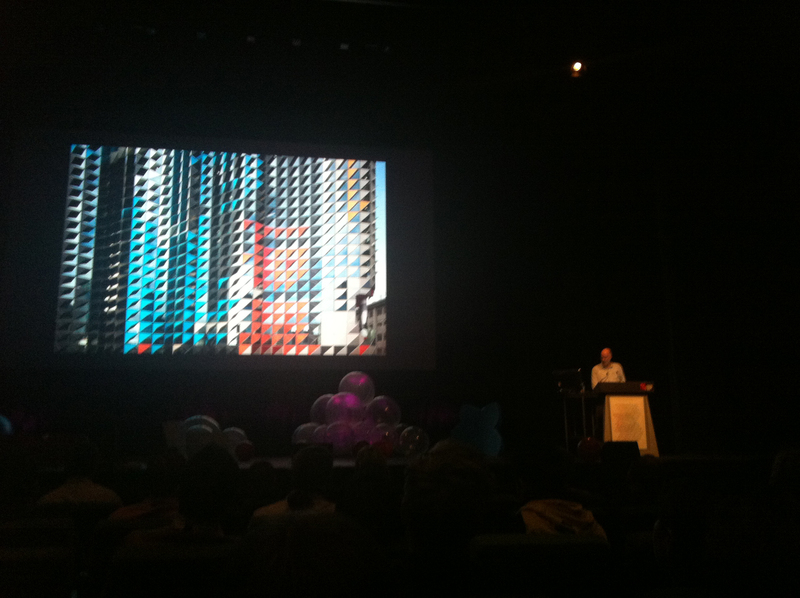 Next up on stage was Yosuke Hayano from Chinese based MAD Architects. What followed was a truly jaw dropping journey into some beautifully sculptural Architecture. 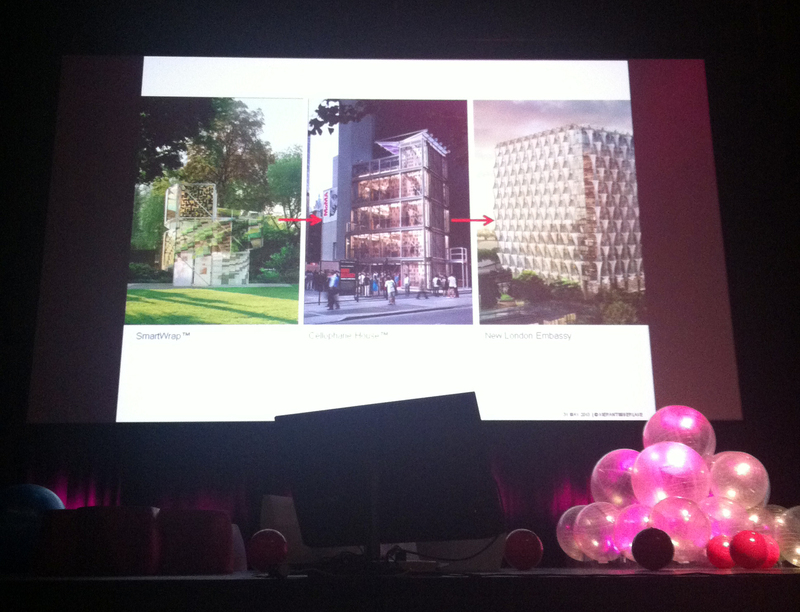 One of the underlying issues discussed in this presentation was the dichotomy between the design and construction of these forms. Mad Architects have mastered the use of the latest cutting edge parametric modeling techniques to design the building which ultimately must be constructed by a labour force with limited education. It remains to be seen how the end product results, but if the building is as good as the presentation it will be truly remarkable. Next up was Jose Selgas who started with the most incredible time lapse video of his sublime studio space. This translucent structure was sunken into the forest like landscape which only upon the opening of an end window revealed its function within. 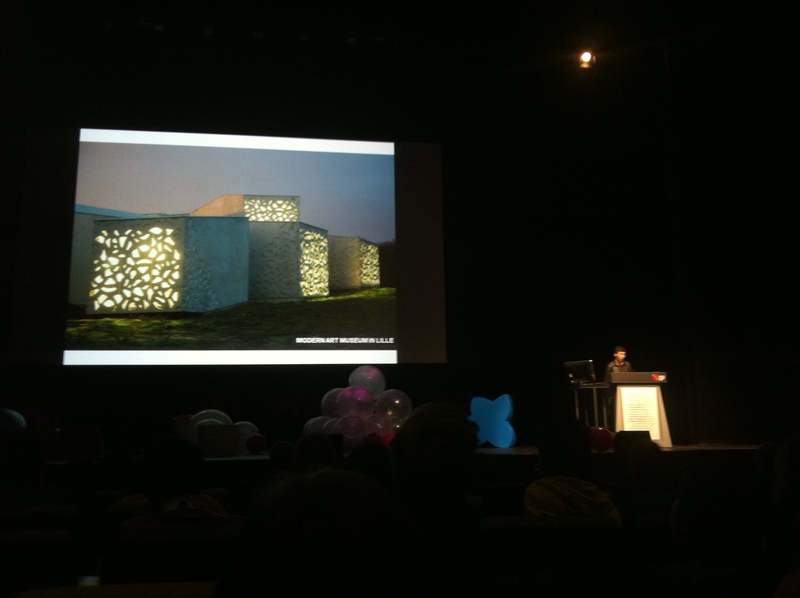 The presentation continued into a masterclass on the use of acrylic plastics to create translucent buildings with dramatic outcomes. The up-cycling of materials continued into the next presentation by Cesare Peeren, a co-founder of Superuse Studios in the Netherlands. Here it was demonstrated that just about anything could be up cycled into a higher use. Examples included washing machines, car wind screens and even the kitchen sink. 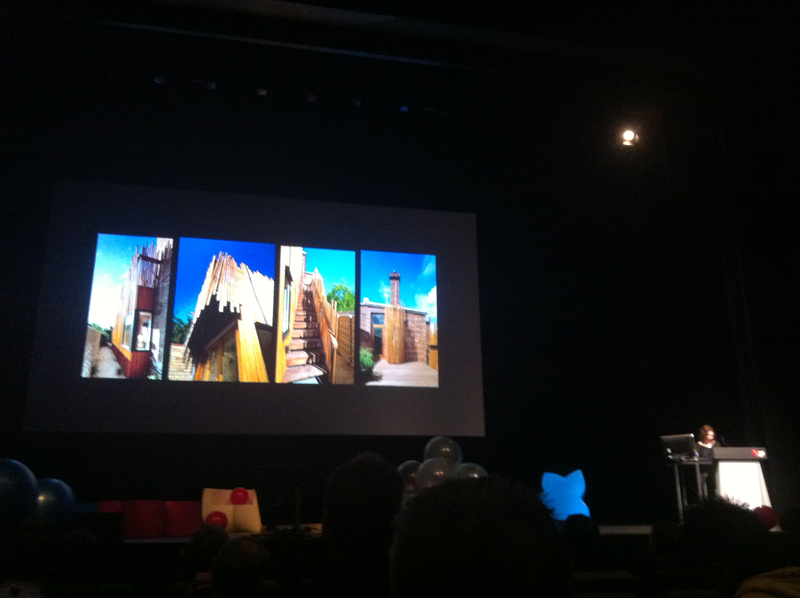 In the final session for the day Carey Lyon discussed a range of projects by Lyons Architects including the widely praised Swanston Academic Building. It was fantastic to see the ideas that shaped the design into the building that it now is. This presentation caused a stir on twitter among some of the audience who have different perspectives on Lyons approach. This real time electronic debate in 140 characters or less added another dimension and even more thrill to the event. The final presentation was by Manuelle Gautrand who showcased exquisite architecture, which sparkled and shimmered with elegance. Wrapping up the day was Nader Tehrani who summarized the presentations and flowed into a brief video of work being done at MIT, including research into sophisticated mathematical form making and parametric modeling. A big thank you to the many fantastic Architects who I have had the great fortune of meeting over the last couple of days. You are a great credit to the profession! 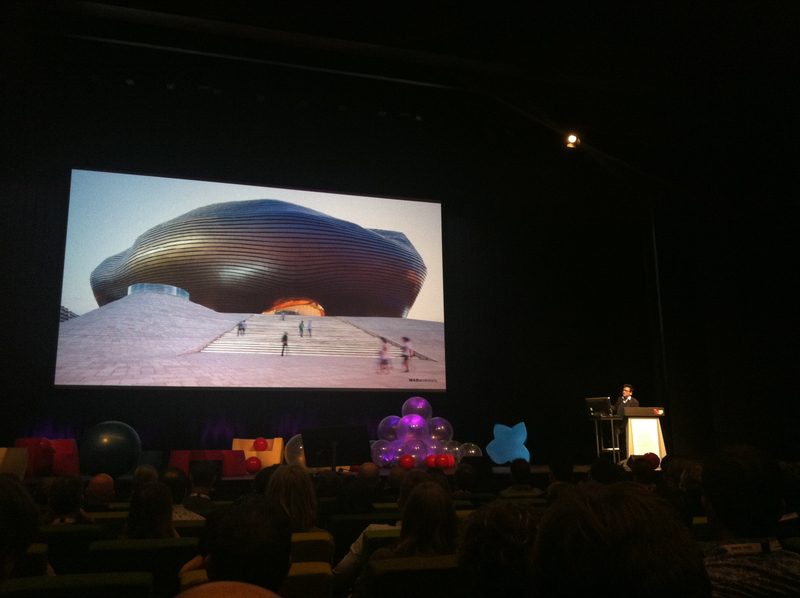 This entry was posted in 2013 Architecture Conference, all posts, Uncategorized and tagged Billie Faircloth, Carey Lyon, Emma Young, Jose Selgas, lyons architects, MAD Architects, Manuelle Gautrand, Melbourne Conference Centre, Nader Tehrani, NH Architecture and Woods Bagot, PHOOEY Architects, Shelley Penn, Swanston Academic Building, Yosuke Hayano. Bookmark the permalink.